By 2020 a Russian GLONASS K-2 global positioning satellite in place, built entirely from Russian-made parts as part of the government's ongoing effort to substitute imports amid sanctions, Izvestia reported. "The GLONASS K-2 satellites will largely be made from Russian components and we are going to start mass producing them before 2020," Nikolai Testoyedov, chief designer at Reshetnev Information Satelllite Systems JSC, Russia's number one satellite maker, told the newspaper. He added that "making a satellite 100 percent Russian" is a hard task. "It would be more appropriate to speak about guaranteed availability of components and our ability to make them here in Russia so that we can switch to domestically-made parts any time," Testoyedov emphasized. He said that Reshetnev ISS was making no use of Chinese-made components, at least for now. "Our Chinese partners have come here many times to offer their product and we have sent our experts to their enterprises to assess the quality of what they do. Some of our companies are already buying their components and we at Reshetnev ISS are also studying such a possibility now," Testoyedov added. Last year, Reshetnev ISS was contracted by Roscosmos to build nine GLONASS K-1 and two GLONASS K-2 new generation satellites at a total cost of 62 bln rubles. GLONASS K-1s are slated to replace the GLONASS K-2 satellites currently in orbit, starting from 2018. "We have set aside seven GLONASS M satellites we are going to send up whenever necessary, followed by Glonass K ones," Nikolai Testoyedov said, adding that by 2028 the orbital constellation will consist of various generations of satellites. There are three GLONASS K experimental probes currently in orbit, but they are primarily built from foreign-made components. After the United States banned the export of certain electronic components to Russia, it was decided to switch to the use of domestically-made components. GLONASS, or GLObal NAvigation Satellite System, is Russia's very own space-based satellite navigation system. It provides an alternative to the American GPS system and is the second alternative navigational system in operation with global coverage and of comparable precision. By 2010, GLONASS had achieved 100% coverage of Russian territory and in October 2011, the full orbital constellation of 24 satellites was restored, enabling full global coverage. 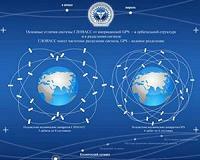 GLONASS satellites have undergone several upgrades, with the latest version being GLONASS K.